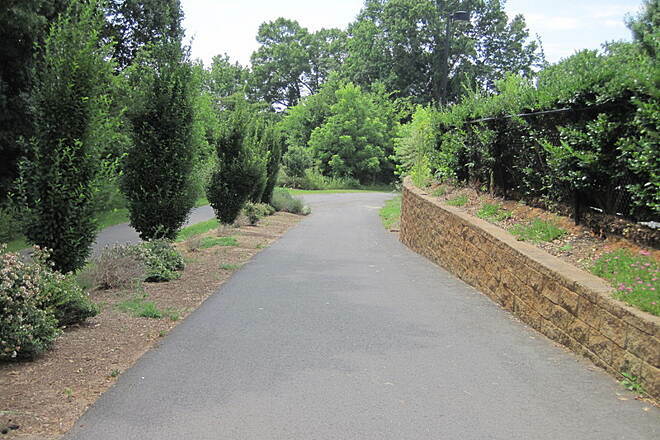 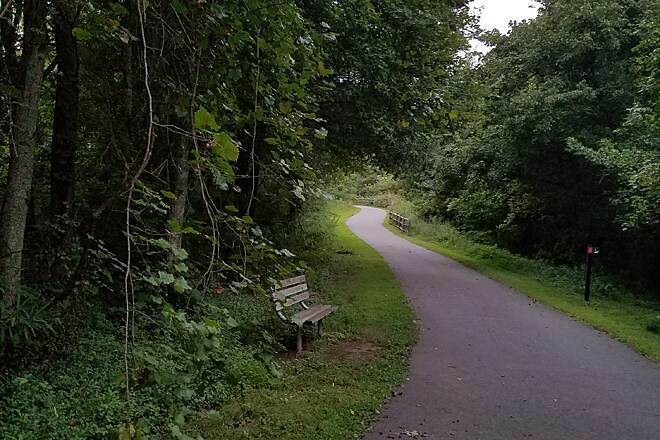 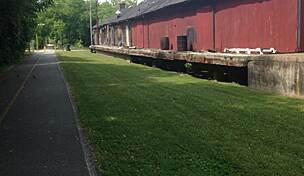 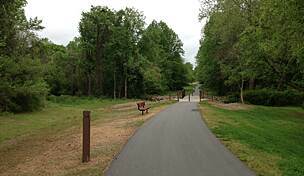 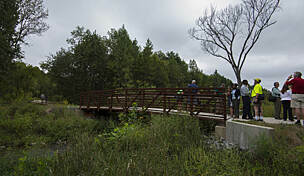 About 12 miles north of Charlotte, the McDowell Creek Greenway links the communities of Huntersville and Cornelius. 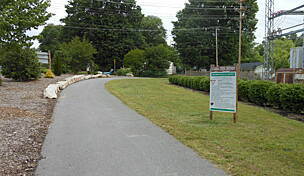 The paved, mile-and-a-half route is part of the larger Carolina Thread Trail, a regional network that will connect 15 counties across two states. 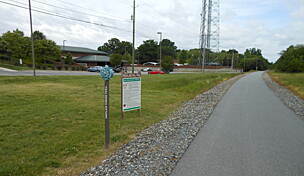 At the southern end of the greenway is the Birkdale Village Shopping Center, a great place to shop or grab a bite to eat. 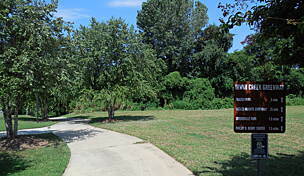 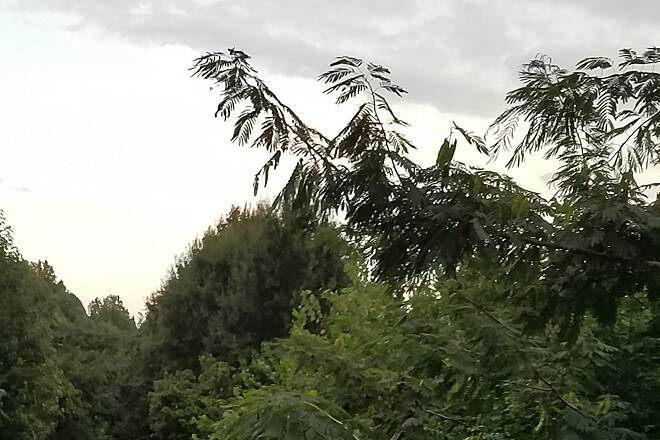 As the trail makes its way north, its busy urban surroundings give way to lake views, meadows, and trees. 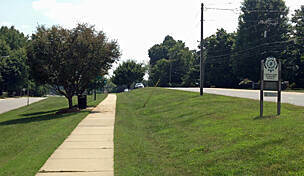 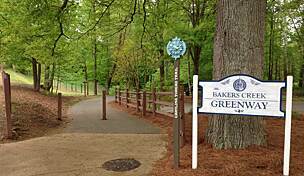 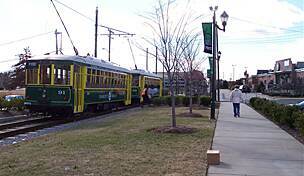 Parking is available at the south end of the trail in the Birkdale Village Shopping Center off Sam Furr Road. 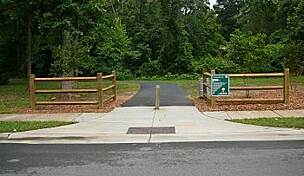 The address for the trailhead is: 16830 Cranlyn Road. 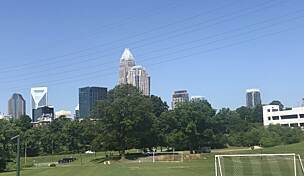 Mecklenburg County Parks & Rec.